The Atlantic Sports Car Club had its beginnings in 1954 when MG TDs and a few other sports cars were beginning to appear on the roads of Nova Scotia. Two owners of these classic cars got together and agreed that a club should be formed. After months of research and a letter to over one hundred sports car owners throughout the province, a meeting was held in mid-March of 1955 in the Board of Trade Building on Spring Garden Road in Halifax. A club was formed, the name chosen and the first Executive Committee was elected. Two years later, in March of 1957, the first Constitution and By-Laws were registered with the Provincial Government. For the first decade ASCC was a “pure” Sports Car club, with navigational rallies, gymkhanas, and the occasional hill climb (all frequently ending as beach parties or other social gatherings) filling the demand for affordable competition and social interaction. By 1966 the pressure from owners of small, agile European sedans became too great and ASCC, with some reluctance on the part of the sports car owners, broadened its mandate and became a motorsport club. The name was retained in recognition of the club history and the overall desire for recognition of motorsport involving vehicles where finesse counted for more than brute horsepower and/or intimidation. The following three decades saw a gradual change from the more social rally-gymkhana crowd to the go-fast race and slalom car drivers whose thrills are shared only vicariously by others. Occasionally ASCC makes the media! Below is a sampling of articles from ASCCs past. Daily News, July 19th, 1985 (.JPG, 436kb) – Article by Mark Alberstat. The Esso Atlantic Challenge Formula 2000 race comes to Atlantic Motorsport Park. 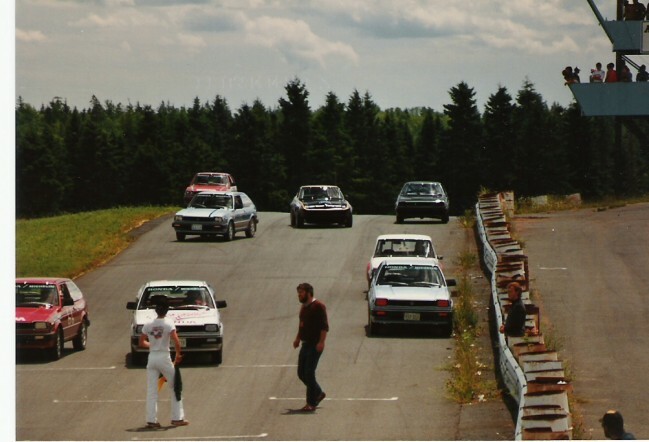 Halifax Herald, July 23rd, 1985 (.JPG, 103kb) – Article by John MacNeil. Results of the Esso Atlantic Challenge Formula 2000 race. Chronicle Herald, September 25th, 2003 (.JPG, 519kb) – Article by Tim Chisholm. 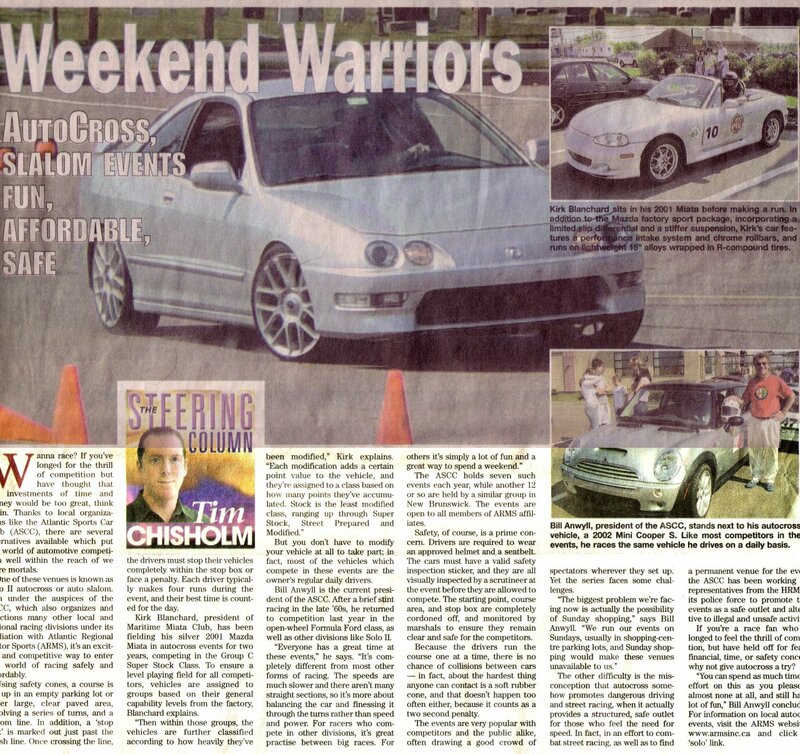 Full page ‘Wheels’ section story on ASCC Autoslalom events. Ironically minutes after the author left the event it was shut down by Truro police for ‘noise concerns’. Throughout the history of ASCC the ‘Checkpoint’ newsletter has been published off and on. Containing event results, helpful information and photos from ASCC events held throughout the year. ASCC Checkpoint Newsletter, Spring 1985 (.PDF, 9.8MB) – General club newsletter including articles, schedule and event results and club sponsor advertisements. ASCC Checkpoint Newsletter, Summer 1985 (.PDF, 9.4MB) – General club newsletter including articles, schedule and event results and club sponsor advertisements. Does anyone want to buy a fully race-prepared Datsun 510 + Spares for $1800? Hi, just checking in to see when the April meeting was. I’ll miss it. 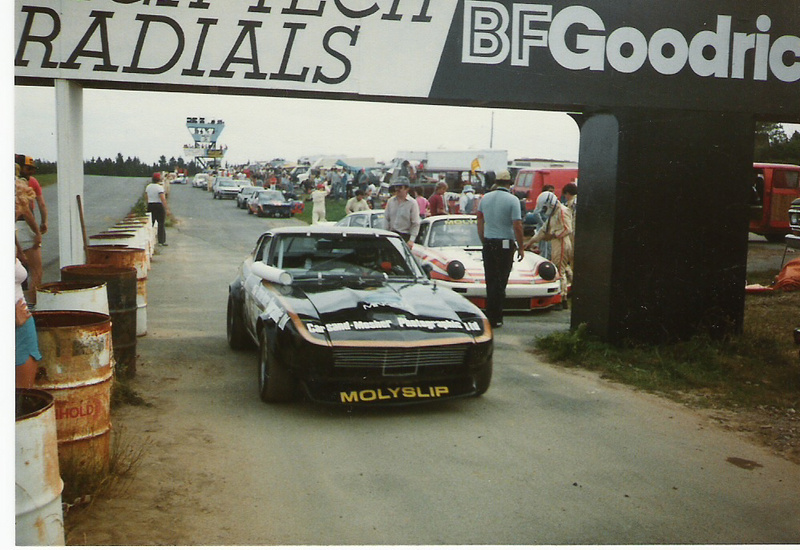 I was a member from 1973-85 – still have an ASCC decal on my Lotus Europa. The regular meetings are every second Tuesday of the month at the Riverside Pub in Bedford, 7:30pm. Drop by! Very nice to see some video from days gone by. Dad was a charter member, as well as a director in the executive in 1955. Picked out dad and mom in various scenes from the clip of the highlands rally. It’s good for me to see that I get my love and interest for motorsports honestly. Thanks! I knew your dad, Ron, back in about 61-66 in the ASCC while I was mostly in High school [QEH]. He founded the Bluenose Touring and Chowder Society as an adjunct to the club. Great guy in his red PV544. Is he still around? I can’t recall your mum – who is/was she? I’ve lived in Toronto for a long while now, but live in HMC Dockyard in halifax as my dad was in the navy. He died recently at age 97 in Halifax. Dad still enjoys his regular drives in his VW Golf. Doesn’t travel like he used to. But still gets out! He still buys car magazines and follows motorsports on TV! Thanks for the info as some of Dad’s memory details are becoming a little scratchy. Sorry to here about your father. Hope you and your family have a Merry Christmas and all the best in 2013!! We (Jack Massey and Gerald LaValley from Saint John, NB) competed in the 1963 ASCC Highland Rally. I enjoyed the video of the event. At this long remove, we are no longer sure how we placed in the event standings. Is there anyone from the club who could provide us with a list of the outcomes? Even better would be the results of each leg. Can anyone help us with our fading recollections? I was President of ASCC (1967) when members Dave Fram and Ken Jarvis approached me with an idea. They had found 500 acres of land for sale in ShubenacadIe. They wanted the Club to buy it and build a race track. They had it all worked out: “We can sell the timber rights.” The rest is history. Those two guys deserve a lot of credit. I am happy to see the ASCC is flourishing so many years later.